Research Track 3 aims at maintaining excellence in conducting, publishing and communicating research in a number of research fields, ranging from Computational Neuroscience to Social Psychology. 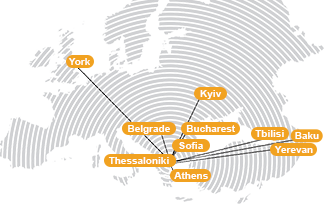 RT3 brings together the research expertise of the two psychology departments of Sheffield, one located at Sheffield and one, the International Faculty, located in Thessaloniki. English in Europe: Opportunity or Threat?